Avocado smoothies are made with fresh, cubed avocado, a rich, buttery, slightly nutty-flavored fruit. You may add other ingredients, such as milk and honey, to increase the protein content and enhance the sweetness of your smoothie. 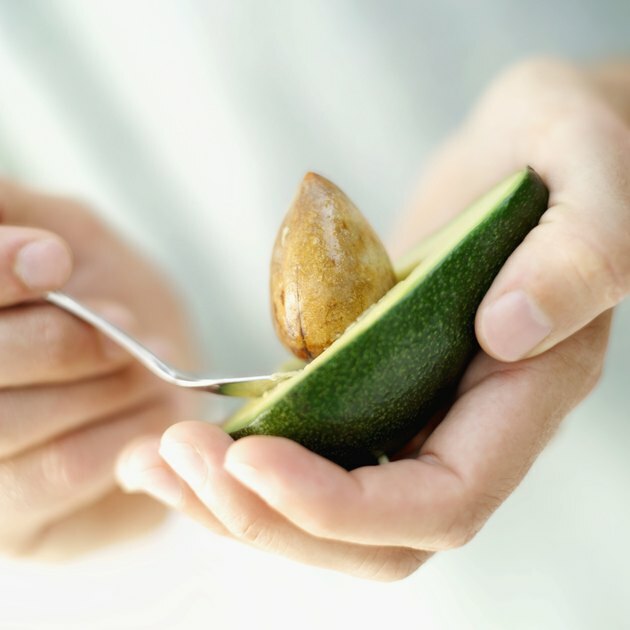 The avocado fruit makes a nutrient-rich base for a drinkable meal replacement, adding vitamins, minerals, heart-healthy fats and dietary fiber while promoting a smooth and creamy consistency. There are many variations of the avocado smoothie recipe and you can adjust any of them to please your own personal palate. In addition to fresh, cubed avocado, a smoothie needs some liquid, such as cow's milk or soy milk; flavored yogurt for protein, texture and sweetness; honey or another sweetener and ice cubes to make it icy, thick and creamy. Another option is keeping the ingredients of this smoothie very simple and straightforward. One of the simplest recipes includes fresh avocado; chilled, low-fat milk and sugar. A recipe for an avocado smoothie on the All Recipes website makes four cups and serves two. It calls for one whole, fresh, cubed, ripe avocado, one cup of low-fat milk, a half cup of vanilla-flavored yogurt, three tablespoons of honey and eight ice cubes. Half of this recipe provides about 370 calories, 9 grams of protein, 17 grams of fat, 3.5 grams of saturated fat, 44 grams of carbohydrates, 37 grams of sugars, 6.8 grams of dietary fiber, 108 milligrams of sodium and 10 milligrams of cholesterol. The caloric breakdown of this smoothie is approximately 10 percent of total calories from protein, 48 percent from carbohydrates and 41 percent from fat, with 8.5 percent from saturated fat. Avocado smoothies are surprisingly nutritious. 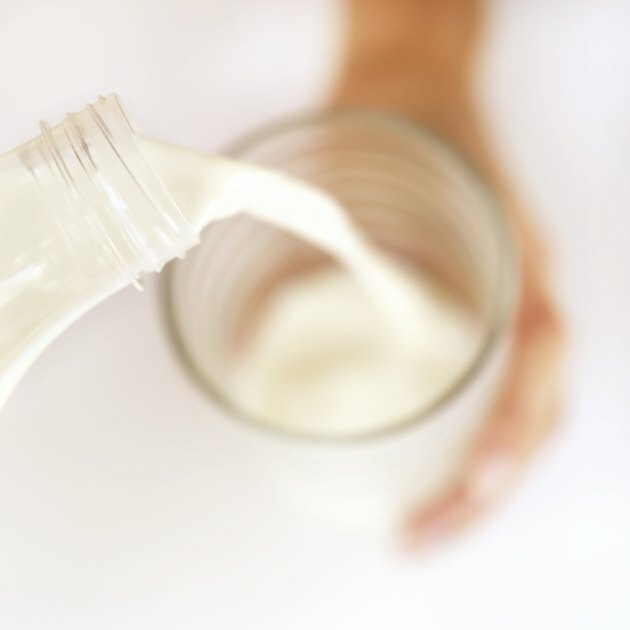 The milk and yogurt offer calcium, vitamin D, phosphorus and potassium while half an avocado, or 100 grams, offers a healthy dose of vitamin A, E, C, K, B-5, B-6 and folate; and the minerals potassium and copper. Vitamins A, C and E are antioxidant nutrients. They support the immune system and help protect your body's cells from damage caused by free radicals, oxygenated particles that can cause harmful changes in DNA. Vitamin K is needed for proper blood clotting and, along with calcium, vitamin D and phosphorus, promotes strong, healthy bones and teeth. The B vitamins aid in energy metabolism and folate helps form DNA and red blood cells. Along with copper and potassium, folate promotes heart health. Any food or beverage that offers at least 5 grams of dietary fiber per serving is high in dietary fiber. 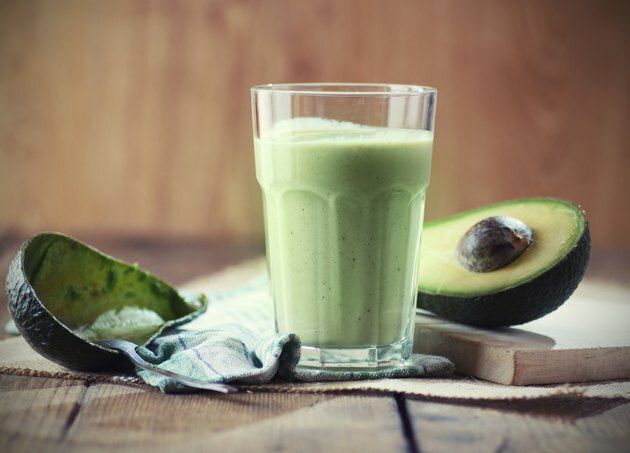 One serving of this avocado smoothie meets almost one-third of the minimum daily requirement for dietary fiber for adult women, about 21 grams, according to the Food and Nutrition Board Institute of Medicine. Dietary fiber is essential for promoting regular bowel movements and digestive health. 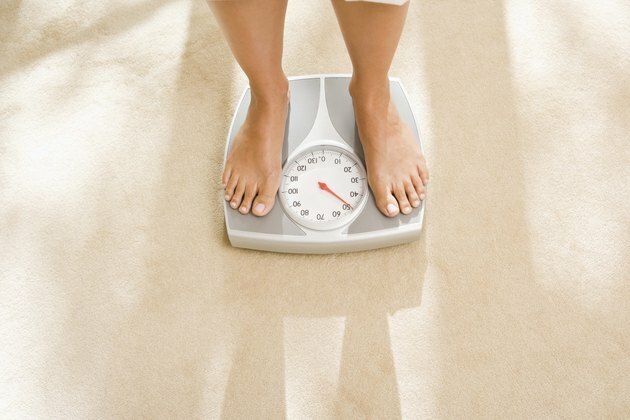 In addition, it helps with weight management. Eating fiber-rich foods lowers blood cholesterol levels as well as helps regulate blood sugar levels, according to the Colorado State University Extension. 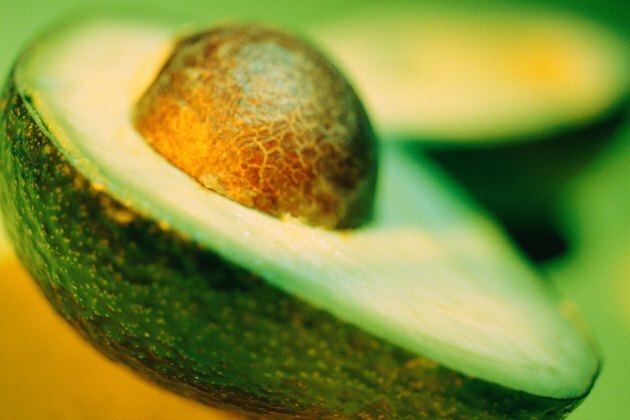 Most of the fat in an avocado smoothie comes from the avocado. Avocados are high in a type of heart-healthy unsaturated fat known as monounsaturated fat. In fact, using fat-free milk and nonfat yogurt in place of low-fat in this smoothie would lower the total fat and saturated fat content slightly. When eaten in place of unhealthy saturated and trans fats, monounsaturated fats lower total cholesterol and "bad" cholesterol -- LDL -- levels. In addition, they tend to slightly increase "good" cholesterol -- HDL -- levels, according to the Harvard School of Public Health.